BONN, Germany, June 2, 2010 (ENS) – To reduce the impact of climate change, burning wood for energy is not a good substitute for burning fossil fuels such as coal, oil and gas, according to a new report issued today by forest advocacy groups at the ongoing United Nations climate talks in Bonn. Here, some 4,500 delegates from 182 countries are attempting to advance negotiations to limit global greenhouse gas emissions. Bioenergy derived from wood poses many threats to forests and to forest-dependent peoples, finds the report, “Wood-based Bioenergy: The Green Lie,” released by the Global Justice Ecology Project, Global Forest Coalition and Biofuelwatch. The report warns that U.S. plans for wood-based bioenergy, biochar and genetically engineered trees will worsen an already dangerous climate situation. Greenhouse gases are produced by burning fossil fuels and wood and also by deforestation. The advocates’ report shows that increased support for the burning of wood to produce energy is triggering increased logging and expansion of industrial tree plantations in the United States, Brazil, Ghana and the Congo Basin, as well as West Papua on the island of Borneo. “As the U.S. and other nations turn to burning plants for energy, changing use of land will have global ramifications,” said Simone Lovera, executive director of Global Forest Coalition, a worldwide network of nongovernmental and indigenous peoples’ organizations from 35 countries on six continents. 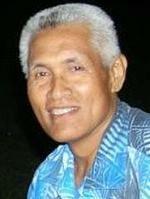 In Bonn, Samoan leader Fiu Mata’ese Elisara-La’ulu, director of the community and environmental group O Le Siosiomaga Society, expressed his concerns about the impacts that this new demand for wood will have on indigenous peoples. “Large scale demand from the North will have serious impacts on indigenous communities, that will lose their forests to legal and illegal logging, as well as conversion to tree plantations,” said Mata’ese. 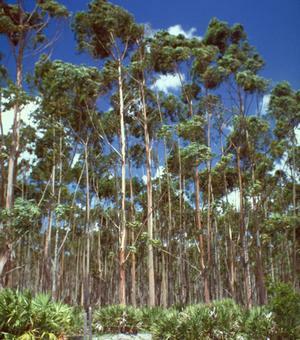 The report coincides with a decision by the U.S. Department of Agriculture to allow the planting of over a 260,000 genetically engineered eucalyptus trees across seven states in the U.S. South. “In spite of global opposition to GE trees, the USDA has approved planting of 260,000 cold-tolerant eucalyptus trees in the southern United States,” said Anne Petermann of Global Justice Ecology Project. On May 12, the USDA’s Animal and Plant Health Inspection Service completed an environmental assessment for a controlled field trial of a genetically engineered eucalyptus hybrid designed to confer cold tolerance, alter lignin biosynthesis and alter fertility. “Based on its finding of no significant impact,” the USDA agency determined that there is no need for an environmental impact statement before the GE trees are planted out in the field. Several plantations already exist in Florida and Alabama. 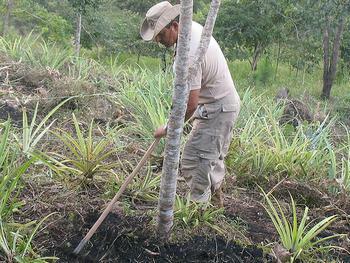 Biochar is also a environmental threat rather than a solution, the report warns. This fine-grained charcoal that can be added to soils is a byproduct of a form of bioenergy production called pyrolysis, a process that decomposes biomass using heat in the absence of oxygen. Supporters of the technology claim that adding biochar can help improve soil condition, increase yields and mitigate climate change by sequestering carbon in the soil for thousands of years, as coal does. Biochar proponents say that in places like the U.S. Rocky Mountains, where beetles have been killing off thousands of acres of pine trees, the use of pyrolysis to char the trees instead of letting them decompose into the atmosphere would offset substantial amounts of carbon dioxide emissions. But the forest advocates’ said today there is “no clear evidence” to back up these claims. They argue that there is evidence that biochar could damage soils and climate, accelerate logging and increase demand for industrial tree plantations. 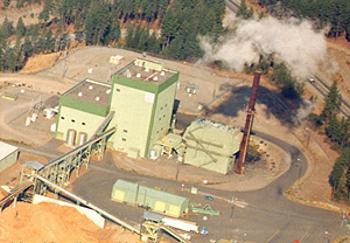 But the U.S. government has its eye on other bioenergy products that can be produced by pyrolysis. On Monday, the U.S. Department of Energy announced up to $11 million in funding over three years for research and development to improve the conversion of non-food biomass to liquid transportation hydrocarbon fuels via pyrolysis. The aim is to produce a bio-oil that can be upgraded to renewable diesel, gasoline, or jet fuel. Yet a wariness about the climate impacts of bioenergy is growing. In letter sent last week to U.S. lawmakers, 90 U.S. scientists urged them to ensure that any climate and energy bill or regulation accurately account for carbon dioxide emissions from bioenergy, including biofuels such as ethanol. In a letter to U.S. House Speaker Nancy Pelosi, U.S. Majority Leader Harry Reid, and key Obama administration officials dated May 24, the scientists caution that ignoring the carbon impact of bioenergy can lead to increases in greenhouse gas emissions. Not all forms of bioenergy produce less carbon dioxide pollution than fossil fuels, they warn.